Martin Freeman is coming to FX. This week, the network announced they’ve ordered a new TV show with the Sherlock star called Breeders. The comedy “exposes the parental-paradox that it is possible, in the very same moment, to love your child to the horizon of the universe, while being apoplectically angry enough to want to send them there.” Daisy Haggard also stars. LOS ANGELES, October 14, 2018 – Breeders, a new comedy series starring Martin Freeman and Daisy Haggard, has been ordered to series at FX, it was announced today by Nick Grad and Eric Schrier, Presidents of Original Programming for FX Networks and FX Productions. The 10-episode first season will premiere on FX in 2020 and is being produced by FX Productions, Avalon Television and Sky Original Productions. Breeders exposes the parental-paradox that it is possible, in the very same moment, to love your child to the horizon of the universe, while being apoplectically angry enough to want to send them there. Martin Freeman stars as a caring father discovering he’s not quite the man he thought he was. What do you think? 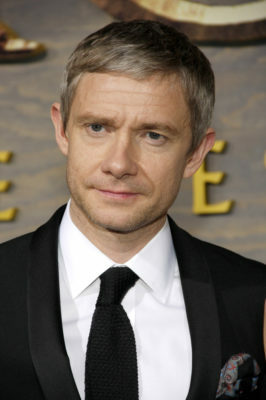 Are you a fan of Martin Freeman? Are you excited for his new TV show? More about: Breeders, Breeders: canceled or renewed?, FX TV shows: canceled or renewed?